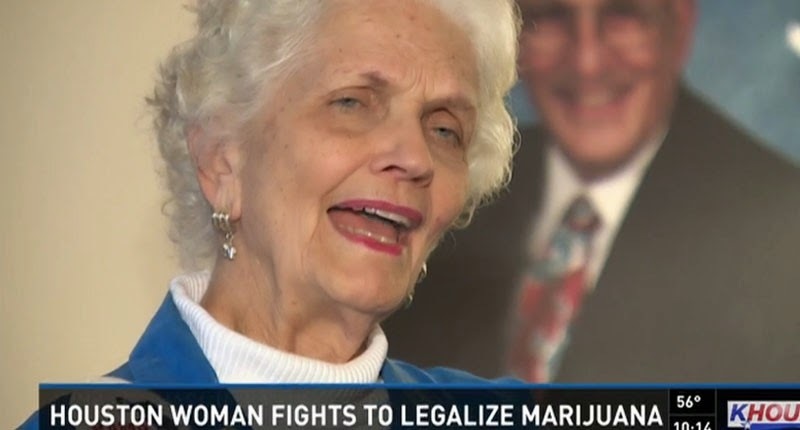 Saying marijuana is not “the weed of the devil,” an 85-year-old Republican activist has become the face of marijuana legalization in Texas, reports KHOU. Houston grandmother Ann Lee, who has spoken in support of marijuana legalization in her native state and is headed to Washington to speak with lawmakers, admits that she was not always a supporter of pot. That changed after her son was involved in an accident and needed medical marijuana to treat his condition. “We realized marijuana wasn’t the weed of the devil which I had been known to say,” she explained. Saying she has always been outspoken and active in Republican circles, Lee admits that she is getting more attention than ever, possibly due to her age and the focus of her crusade. “I don’t know whether it’s my age, the white hair, what is it, but it does seem to strike a chord. I’ve been an activist for many years, but I’ve never had the response that I’m now getting” Lee said, adding that she is wholeheartedly behind marijuana legalization. Legalization activists have called her the perfect weapon as she heads off to Washington. “It’s not Republican to support prohibition,” said Lee, explaining that adults have the right to use marijuana.